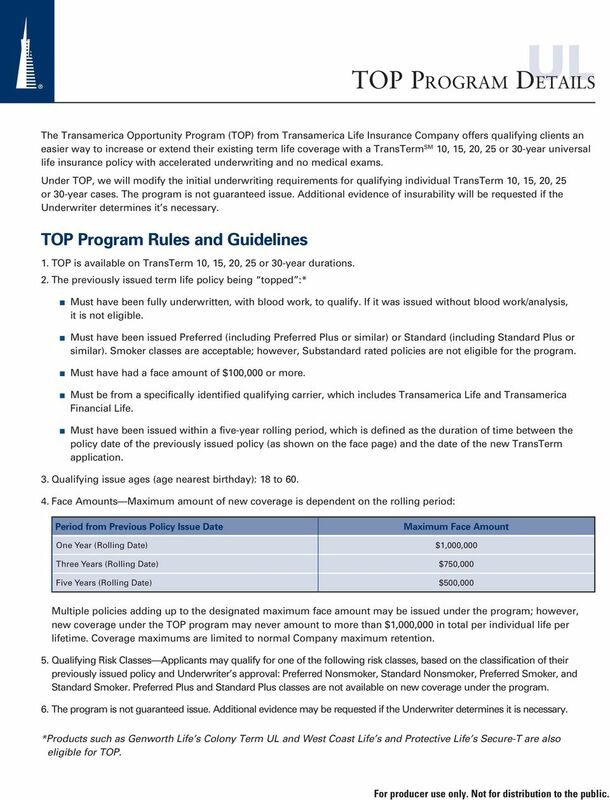 Download "Prospect for New Sales, Without"
3 UL TOP Program Details The Transamerica Opportunity Program (TOP) from Transamerica Life Insurance Company offers qualifying clients an easier way to increase or extend their existing term life coverage with a TransTerm SM 10, 15, 20, 25 or 30-year universal life insurance policy with accelerated underwriting and no medical exams. 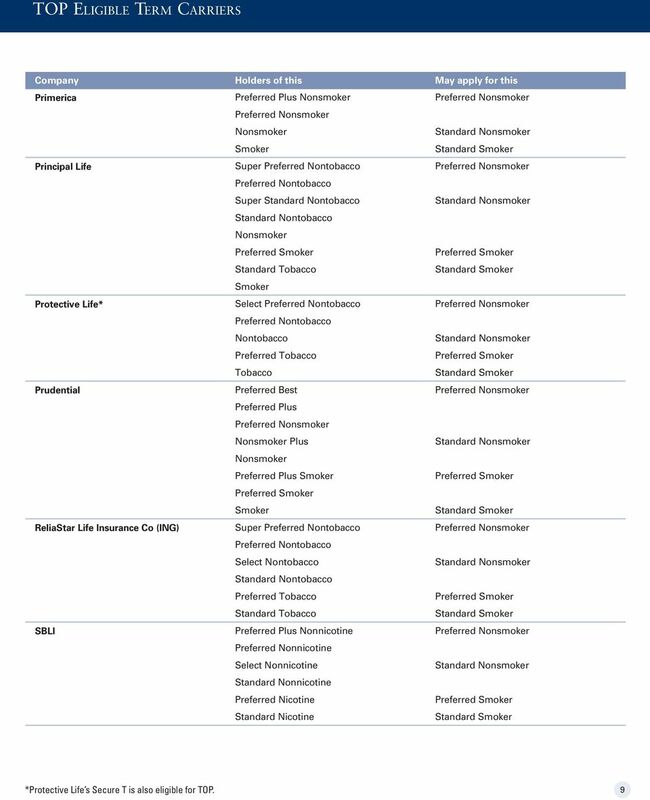 Under TOP, we will modify the initial underwriting requirements for qualifying individual TransTerm 10, 15, 20, 25 or 30-year cases. The program is not guaranteed issue. Additional evidence of insurability will be requested if the Underwriter determines it s necessary. TOP Program Rules and Guidelines 1. 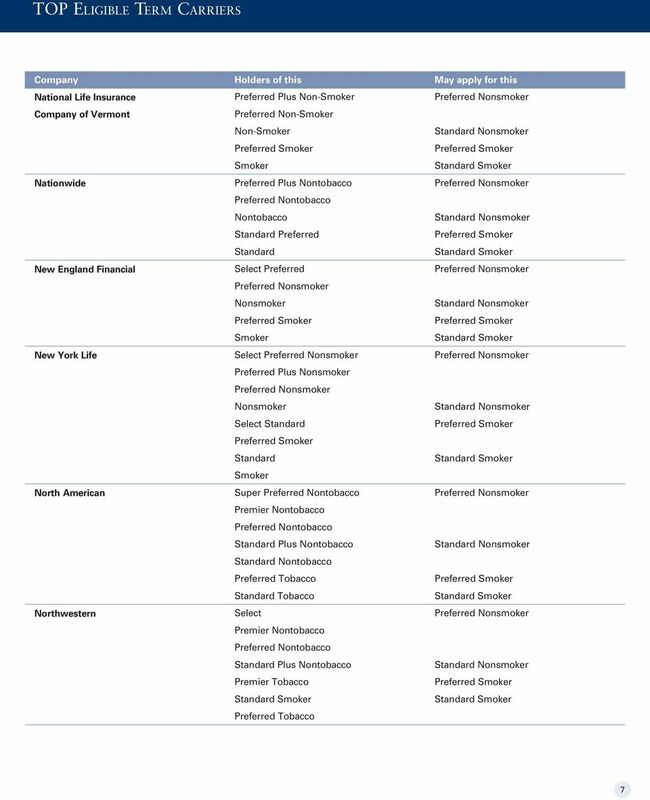 TOP is available on TransTerm 10, 15, 20, 25 or 30-year durations. 2. 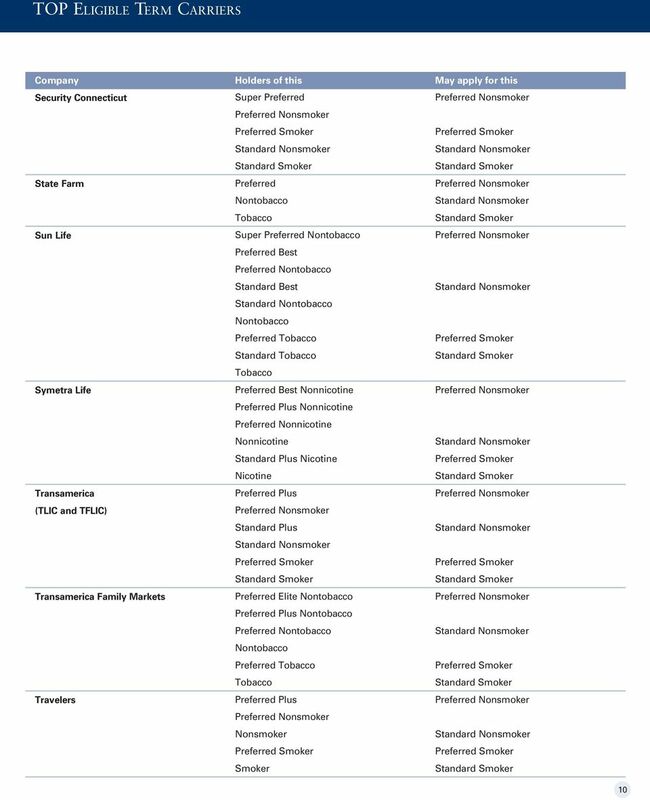 The previously issued term life policy being topped :* Must have been fully underwritten, with blood work, to qualify. If it was issued without blood work/analysis, it is not eligible. Must have been issued Preferred (including Preferred Plus or similar) or Standard (including Standard Plus or similar). classes are acceptable; however, Substandard rated policies are not eligible for the program. Must have had a face amount of $100,000 or more. 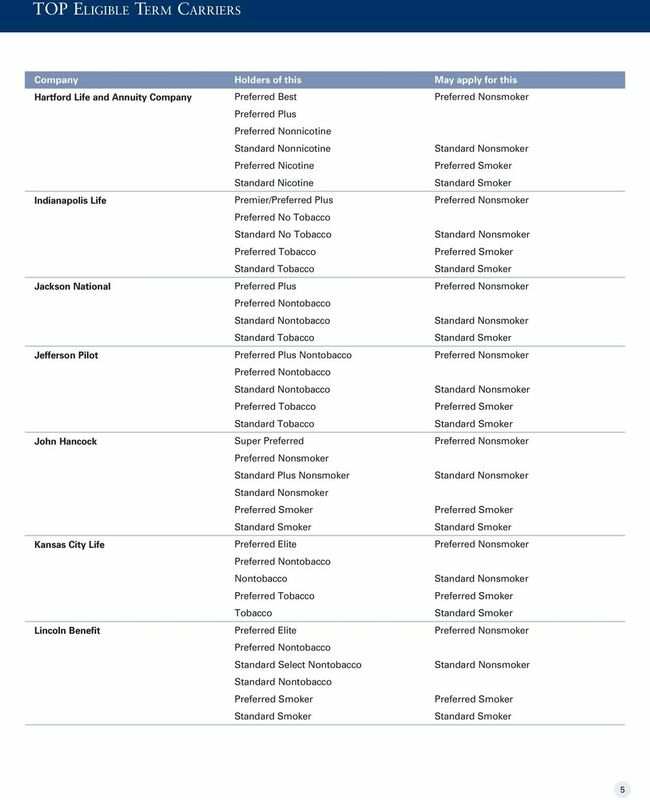 Must be from a specifically identified qualifying carrier, which includes Transamerica Life and Transamerica Financial Life. Must have been issued within a five-year rolling period, which is defined as the duration of time between the policy date of the previously issued policy (as shown on the face page) and the date of the new TransTerm application. 3. Qualifying issue ages (age nearest birthday): 18 to Face Amounts Maximum amount of new coverage is dependent on the rolling period: Period from Previous Policy Issue Date Maximum Face Amount One Year (Rolling Date) $1,000,000 Three Years (Rolling Date) $750,000 Five Years (Rolling Date) $500,000 Multiple policies adding up to the designated maximum face amount may be issued under the program; however, new coverage under the TOP program may never amount to more than $1,000,000 in total per individual life per lifetime. Coverage maximums are limited to normal Company maximum retention. 5. 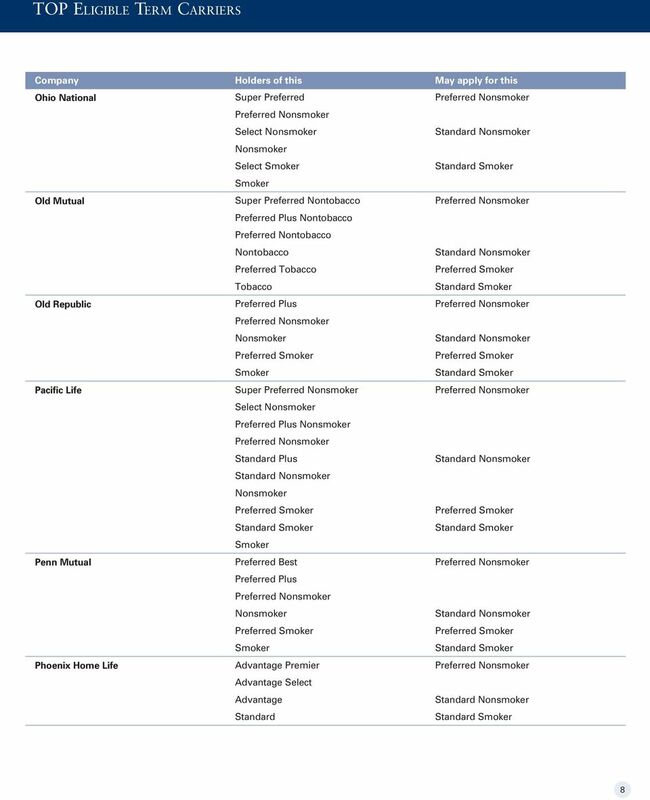 Qualifying Risk Classes Applicants may qualify for one of the following risk classes, based on the classification of their previously issued policy and Underwriter s approval:,,, and. 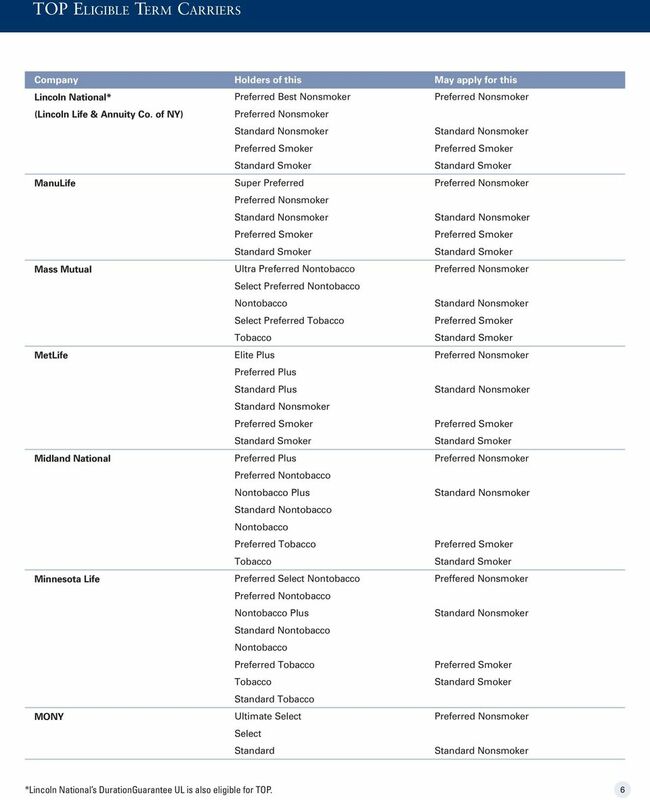 Preferred Plus and Standard Plus classes are not available on new coverage under the program. 6. The program is not guaranteed issue. Additional evidence may be requested if the Underwriter determines it is necessary. 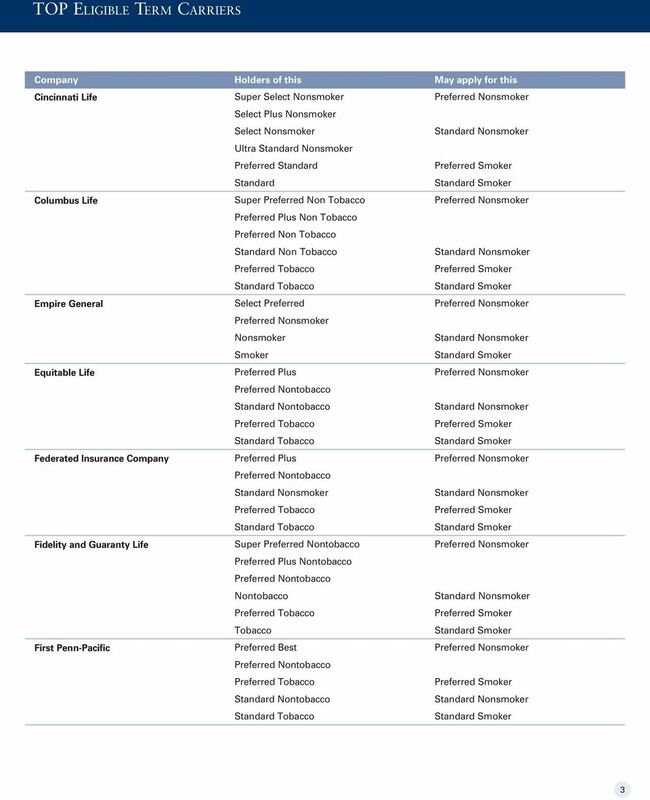 *Products such as Genworth Life s Colony Term UL and West Coast Life s and Protective Life s Secure-T are also eligible for TOP. For producer use only. Not for distribution to the public. 4 TOP Program Details 7. Maximum Company retention on one life is not to exceed $5,000,000. Applications that would require us to exceed our maximum retention will require full new business evidence. 8. The program is designed as additive coverage, not as replacement. It does not require any assignment or termination, nor does it alter the face amount and conversion option of the previously issued policy. Modified New Business Requirements 1. Application for TransTerm policy form 2. Authorization to Obtain Information (MIB) 3. Nonmedical 4. 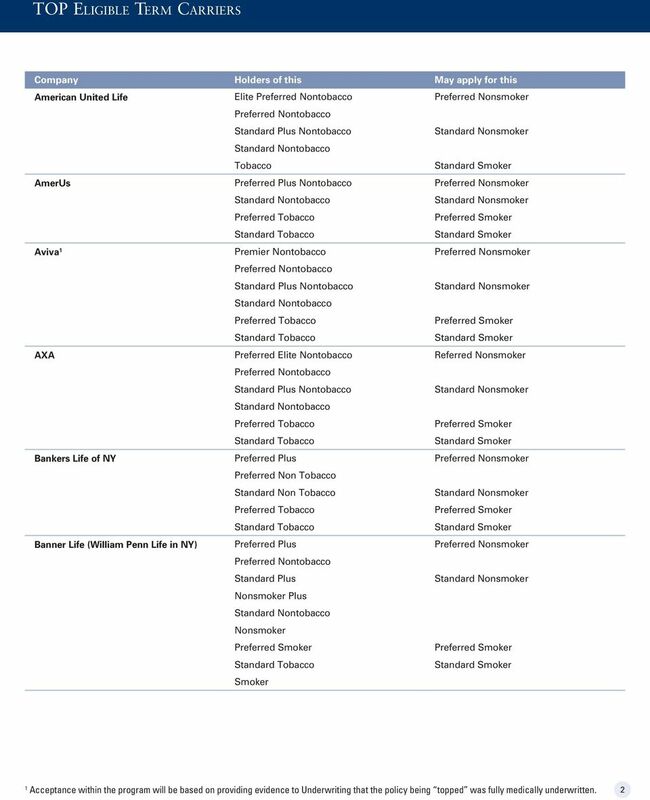 Copy of the previously issued term policy face page, and any additional policy data pages required to show name of insured, date of issue, face amount, and risk class. 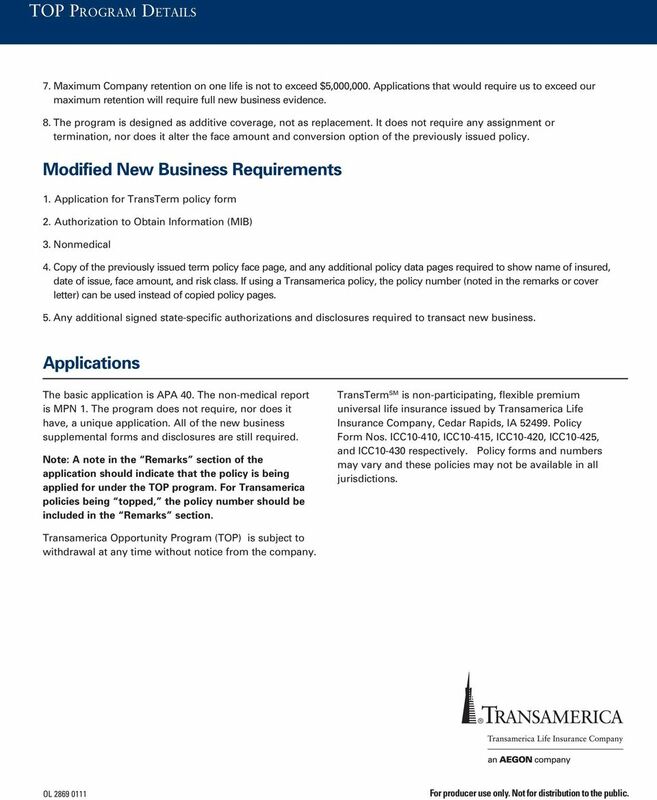 If using a Transamerica policy, the policy number (noted in the remarks or cover letter) can be used instead of copied policy pages. 5. Any additional signed state-specific authorizations and disclosures required to transact new business. Applications The basic application is APA 40. The non-medical report is MPN 1. The program does not require, nor does it have, a unique application. 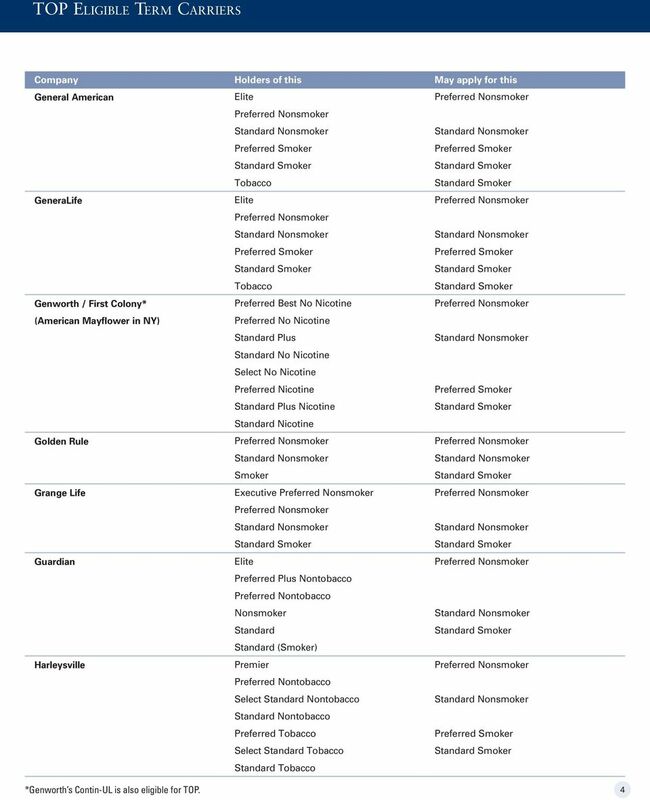 All of the new business supplemental forms and disclosures are still required. 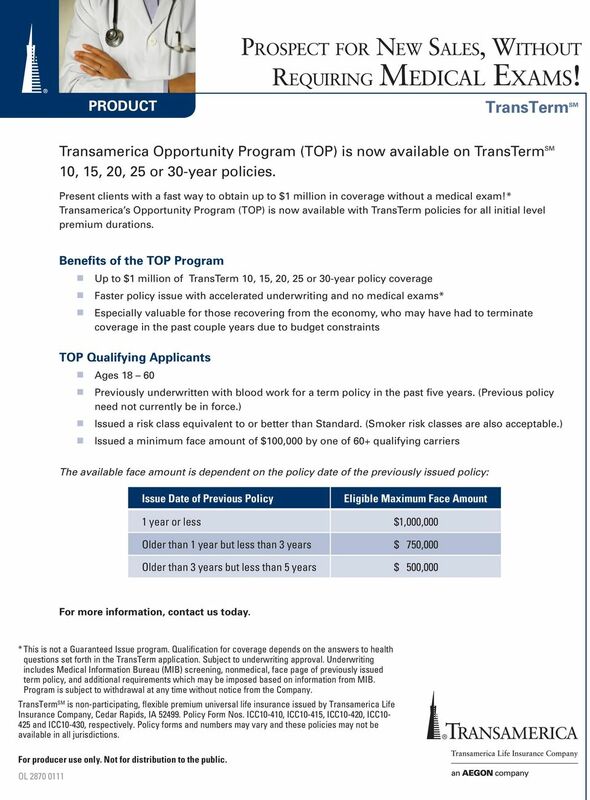 Note: A note in the Remarks section of the application should indicate that the policy is being applied for under the TOP program. 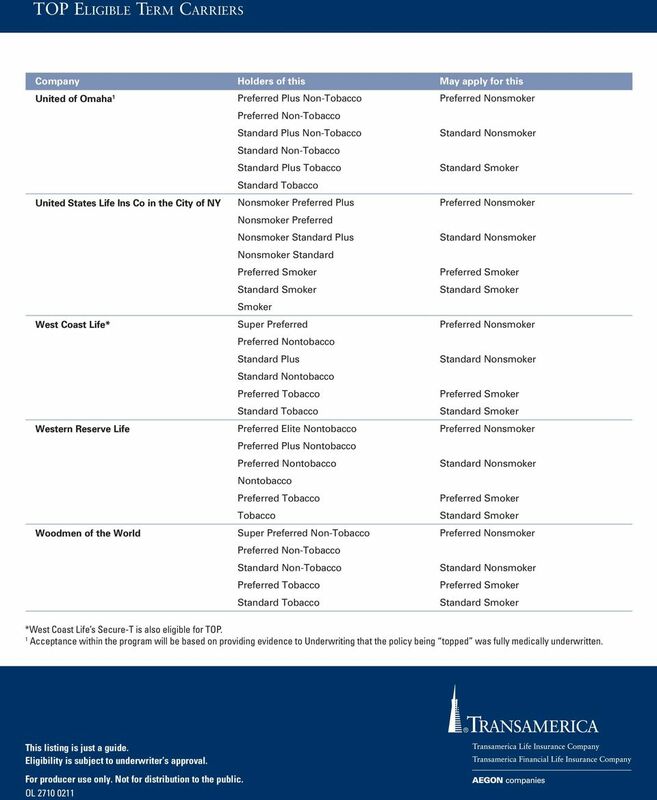 For Transamerica policies being topped, the policy number should be included in the Remarks section. 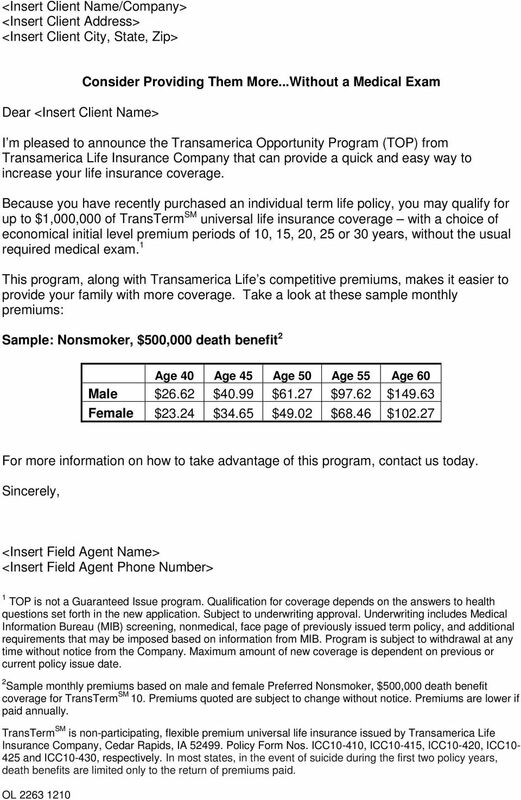 TransTerm SM is non-participating, flexible premium universal life insurance issued by Transamerica Life Insurance Company, Cedar Rapids, IA Policy Form Nos. ICC10-410, ICC10-415, ICC10-420, ICC10-425, and ICC respectively. Policy forms and numbers may vary and these policies may not be available in all jurisdictions. 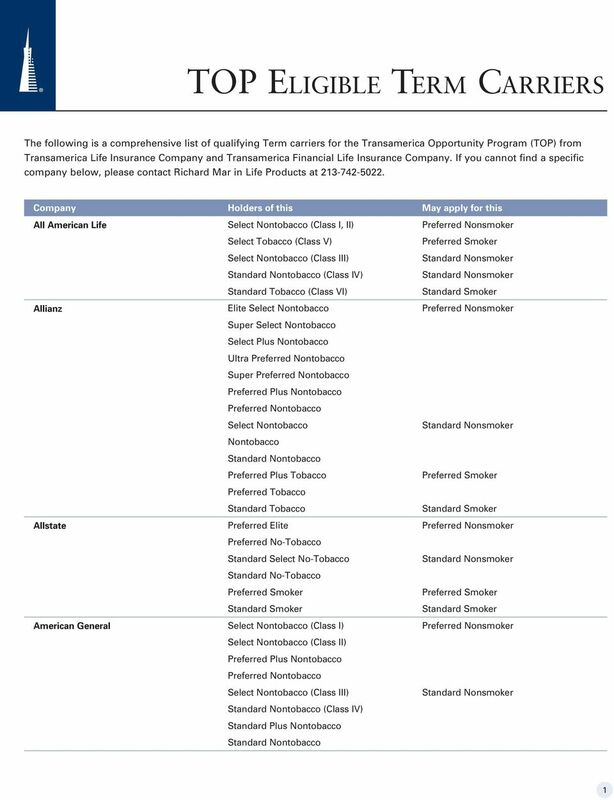 Transamerica Opportunity Program (TOP) is subject to withdrawal at any time without notice from the company. OL For producer use only. Not for distribution to the public.